Looking to light up your trike? We offer three different LED Engine Kits specifically designed for trikes! Choose from our VALUE SERIES™, CUT-N-CLICK™ and our PREMIUM SERIES light kits for trikes. 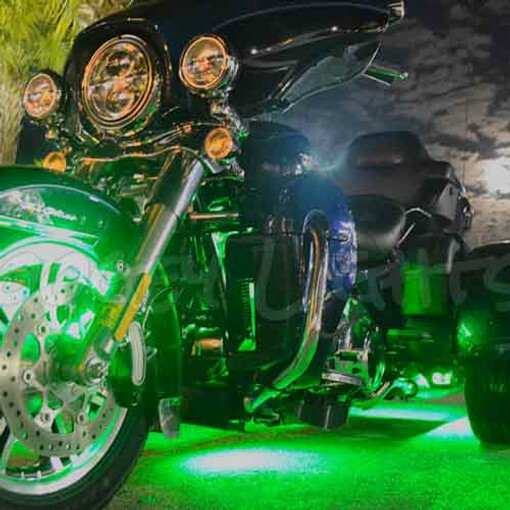 All of our LED light kits for trikes are customizable which allows you to specify exactly what type of LEDs and how many you want to add for a unique look just for your ride. Plus, you'll save by purchasing the kit instead of buying the individual components. All Boogey Lights® LED light kits are designed, assembled and supported in the USA!